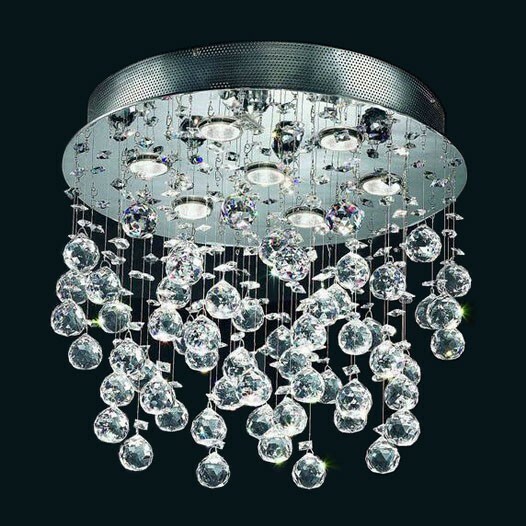 Modern 7-Light Crystal Flush Mounted Rain Chandelier can be installed in any room like bedroom, family room, meeting room and others. The base of this contemporary fixture is made from stainless steel. The diameter is almost 20 inches and height with crystals is about 18 inches.